Xiah Junsu will hold the ‘Kim Jun Soo Musical Concert’ at the Olympic Sports Stadium for four days, starting from October 7th. With a special request from Grammy Award winning, world renowned composer Sylvester Levay, the concert has been planned with Kim Junsu as the main character to show the highlights of ‘Mozart!’ as well as the Austrian musical ‘Elizabeth’, which will debut in Korea in 2012. Composer Levay will fly in to Korea in September for the concert and will bring with him a song composed especially for Xiah Junsu to perform at this concert. 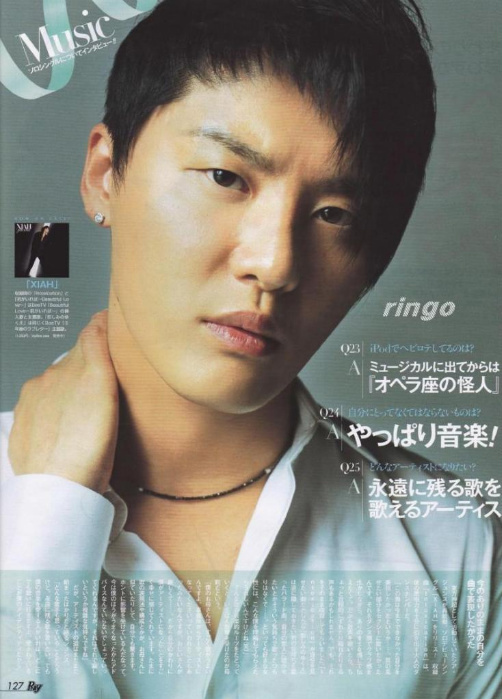 Levay is planning to join Kim Junsu on stage for this piece and it was found that Levay holds great affection for the singer as he even found and watched all of Kim Junsu’s past performances as part of the group TVXQ. Kim Junsu, who played the lead role of ‘Wolfang Mozart’ in January, broke the controversy regarding idols performing in musicals without verification of their capabilities. He completed his successful debut in the musical industry by receiving the ‘Best Male Newcomer Award’ and ‘Popularity Award’ at The 4th Musical Awards for his explosive vocal skills and detailed delivery of emotions. 40 of the best musical actors will perform at the concert including Seo Bum Seok, Min Young Gi, Shin Young Suk, Bae Hae Sun and Jung Seon Ah. 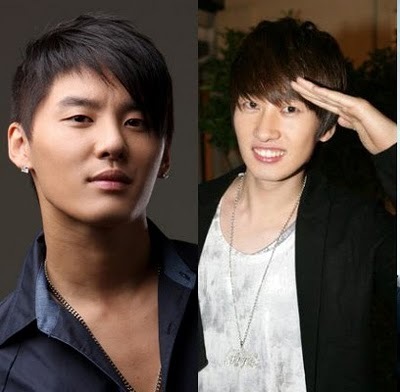 Kim Junsu is planning on performing in ‘Elizabeth’ with Park Eun Tae and Jeon Dong Seok. Tickets will be on sale from September 1st for four days and will be available at Interpark and Yes24. ‘King of Baking – Kim Tak Goo’s popular actress Choi Yoon Young (as Goo Ja Rim) speaks up about her special relationship with TVXQ’s Xiah JunSu and SUJU’s EunHyuk has become a popular topic. On 23rd August, Choi Yoon Young expressed that she was classmates with Xiah JunSu and EunHyuk on KBS 2TV ‘YeoYouManMan (여유만만) – King of Baking, Kim Tak Goo Special’. Choi Yoon Young said that she was in the same class as JunSu and EunHyuk during primary school and was in the same dancing group as well . She even recorded a video clip for JunSu on the show that said, “JunSu-ah, how are you recently? Remember to contact me after watching the drama. See you at the broadcasting studio”. Other than that, Choi Yoon Young also stated that her introvert character is totally different from the cheerful and lively Goo Ja Rim in the drama. 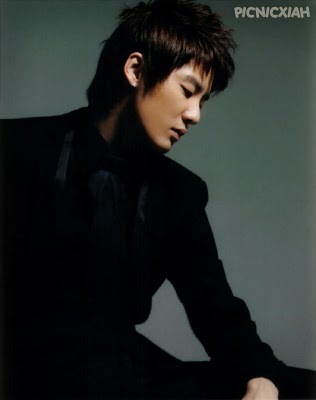 TVXQ group member Xiah Junsu was hospitalized in Los Angeles at around 10 PM on the 3rd. The management side says that for Xiah Junsu’s treatment, they will take a 2 days rest. Xiah Junsu, Micky Yoochun and Hero Jaejoong are currently in America recording with Kanye West, who has a great influence in pop music. Kanye West, who was born in 1977, has won 13 Grammy Awards and is a famous Rapper/Producer in America. He has produced music for the albums of Jay-Z, Alicia Keys, and Janet Jackson. The three members of TVXQ are the first to work with a major pop artist and producer like Kanye West. Because of this, many people are looking forward to what kind of product is released from this collaboration. The idol wind is blowing on the musical industry. Idols are knocking on the musical industry’s door with stars like SES’ Bada (Choi Sung Hee) and Ok Joo Hyun, both already recognized as talented musical actresses, Big Bang’s Daesung, TVXQ’s Xiah Junsu and U-Know Yunho, Girls Generation’s Taeyeon, Super Junior’s Sungmin and Yesung, and After School’s Jung Ah being cast as lead roles in productions. One should consider carefully, however, of whether or not the entrance of idols in musicals is necessarily a positive change. The biggest strength that idol stars bring to the musical industry is their ticket power. Most of the time, the mere fact that an idol star is appearing in a musical will bring a string of sold out performances. ‘Mozart!’, which cast Xiah Junsu as its lead, experienced this when they grabbed everyone’s attention with their online ticket reservation site crashing the first day ticket sales began due to a sudden influx of people; this continued on to every single show being sold out. Recently, ‘The Sun’s Song’ experienced the same effect from Taeyeon. A production representative of ‘Mozart!’ stated that the casting of an idol star is one that cannot be denied because it breathes life into the industry and presents a great opportunity to promote the musical. But the charm of casting an idol with ticket power goes both ways in such a situation as for a star, a musical is a brilliant opportunity. As musicals require multiple talents such as singing, dancing, and acting, they can become stepping stones for stars who wish to broaden their horizons. 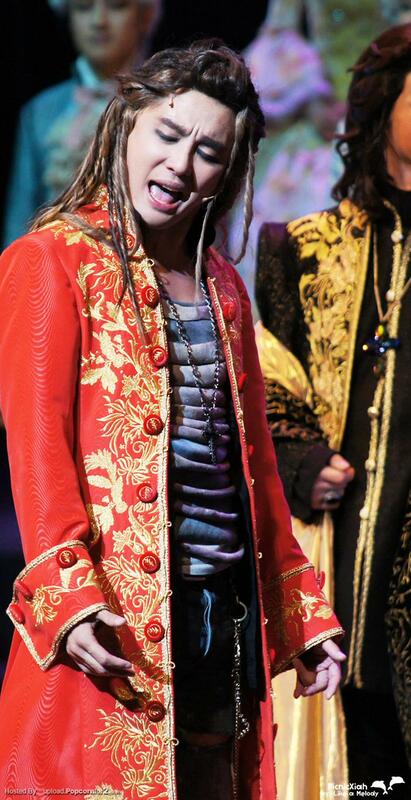 Just because a musical is done in Korean, doesn’t mean that the audience will be Korean too. With the appearance of idols on the musical stage came Japanese and Chinese fans flocking to Korea to watch. Production teams began to turn their attention to ‘Hallyu marketing’ in the Asian market by creating leaflets in different languages or showing promotional clips overseas. ‘Hong Gil Dong’, which featured Yesung and Sungmin from ‘Star of Asia’ Super Junior, was held at the Woori Finance Art Hall between February and April and attracted over 800 people from Asia. Following this, the production team Seoul Symphony Orchestra uploaded promotional videos in Japanese on Japanese websites and went knocking on the doors of overseas markets. ‘The Brothers were Brave’, SHINee’s Onew’s debut musical, created leaflets specially for Japanese fans in their native language. An average of fifteen Japanese tourists watched every performance since the show began in April. Promotional information, such as a description of the performance and photos, have been distributed to them. Even fans don’t want their idol singers to appear on stage if they haven’t prepared enough or lack the necessary skills. The reason that production companies cannot go over the top when casting idol stars is because if idols forcefully appear frequently in musicals, the quality of the performance may drop. There is also the stereotype embedded within the minds of the public that a performance with a celebrity cast can’t be a high quality show. However, it is a reality that idol stars cannot completely focus on musical rehearsals as they have their own busy schedules to complete. There are quite a few examples of musicals that failed to attract a large crowds because an idol star could not practice or participate in rehearsals due to their busy schedule which resulted in a drop in quality of the overall show along with criticism of the idol star for their unstable singing and lacking acting skills. This chart reflects CD-single sales that were released from the week of 2010.06.09 to 2010.06.15. This is an official activity launch for limited “XIAH” reminiscence products. Customers who buy the products listed below at the selling venue will have a chance at receiving illustrations personally drawn by Junsu himself! Please grab at this opportunity! ※The products above are being sold now at the「JUNSU/JEJUNG/YUCHUN THANKSGIVING LIVE IN DOME」performance venues as well as at MU-MO shops. ※ There are a limited number of items as parking is limited, so please bear with us during the shortage. ※No extra new goods will be for sale at this event. but customers who don’t have the activity invitation tickets can still purchase items. No credits cards will be accepted as a method of payment.